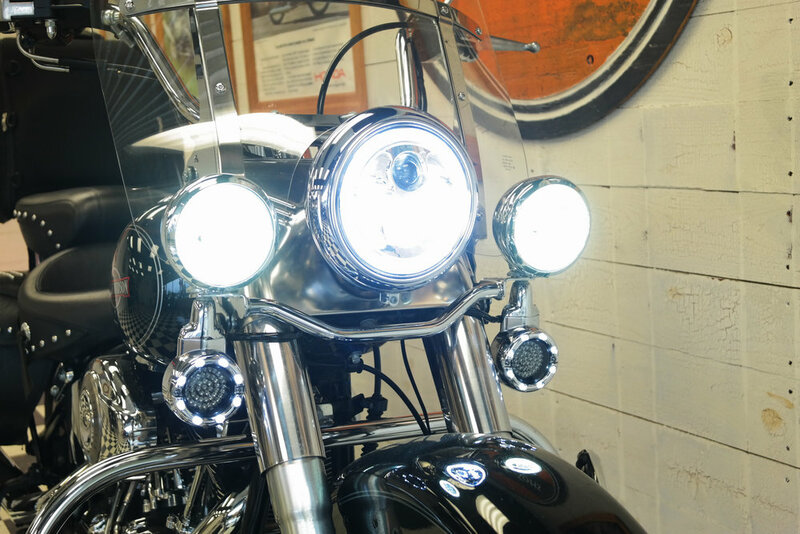 This '08 Heritage is one of the cleanest, most well equipped you will find. It is set up to make hard-core touring a breeze while also having the ability to convert into a snappy bar-hopper. It may look tame but some pretty serious modifications have been made to unleash some power. Those mods include an S&S 106ci Big Bore kit, S&S 570 EZ Start Cams, a Cobra FI2000 fuel controller, Heavy-Duty Clutch Spring, and Rinehart True-Duals. This thing is a beast. Lighting has also been upgraded. 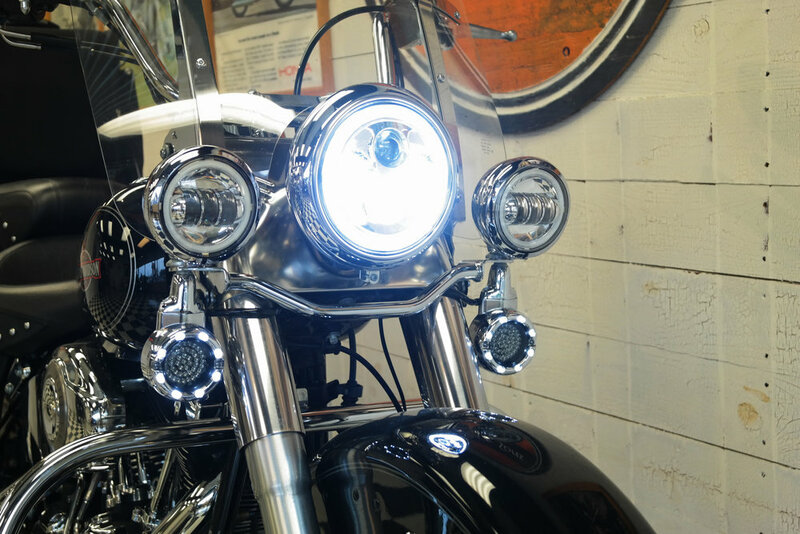 "Daymaker" LED headlight (with switchable strobe), LED passing lights, and LED turn signals. Rear lights also strobe. The speedometer has been replaced with a HD accessory cluster that features multi-color display as well as a Tach. Other accessories include flush mount fuel caps, HD T-Bag, crash bars with highway pegs, and a very comfortable Mustang seat. Tires have just been replaced as well as the battery. All work performed here at French and Sons.